Promotional USB flash drives make an excellent gift, in today's electronic age custom USB flash drives are a vital tool people attach to their key rings and use over and over. 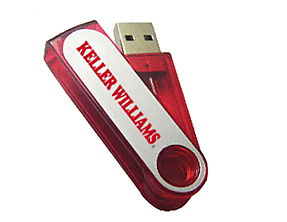 Promotional USB flash drives are an inexpensive and effective marketing and advertising tool. Unlike many other advertising mediums, useful promotional products like, promotional USB flash drives, have real value and are used over and over again. The goal of promotional merchandise is to create multiple impressions and constantly remind customers and prospects of your brand. Custom USB flash drives are a perfect way to achieve that goal because they are a useful and valuable gift that will be used regularly. A custom USB memory stick is not a cheap giveaway you might hand out at a trade show. It's a high value gift reserved for important customers and prospects. It's a product you want people to use again and again. 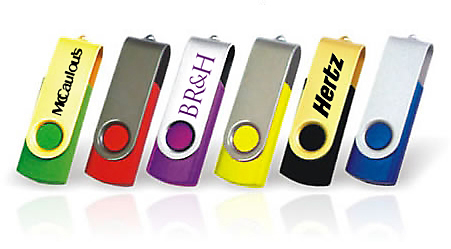 Promotional USB flash drives come in all shapes and sizes as well as all kinds of memory capacity. Put your logo on a USB memory stick and clients and prospects will be reminded of your company and services each and every time they us it. Promotional USB flash drives can be used as a gift to existing clients, they can be given away at the completion of an important transaction or used as a specific promotion to gain a certain result. An example of a possible promotion might include an incentive that launches the first time the custom USB memory stick is used, encouraging important customers or prospects to visit your website and fill out a form for a chance to win a valuable prize. Running such a promotion will allow you to track exactly what kind of return you get on the investment in custom promotional USB flash drives. Memory chip pricing is extremely volatile and changes almost daily so we don't list pricing on this page. To find out how affordable promotional USB flash drives can be, request a quote and make sure to include the memory capacity you need when filling out the quote request form. Click here to see our most popular promotional USB flash drives. You can take it with you. Card-size USB flash drives. Maximize the convenience AND the promotional opportunity by proudly displaying your brand on our credit card sized USB flash drive. Print it in four color process to make it resonate with your clients -- photos, custom graphics, whatever you like. 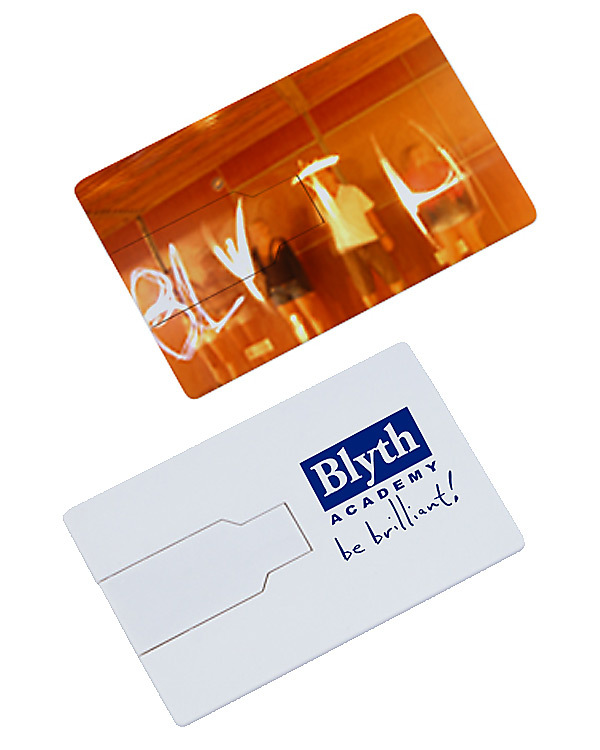 Your message will shine on this great product. Our USB pricing is very sharp, and the product is top quality. Rigorous QC is performed on every USB drive we sell to insure that your USBs all work. Pricing even includes having us preload your data, up to 30MB! Contact Dataguide today to order a custom USB flash drive to promote your company and your products. How big is a gig? What exactly is 1 gig of memory capacity for an USB drive? Click here for a helpful guide on determining how much information can be stored on USB drives.